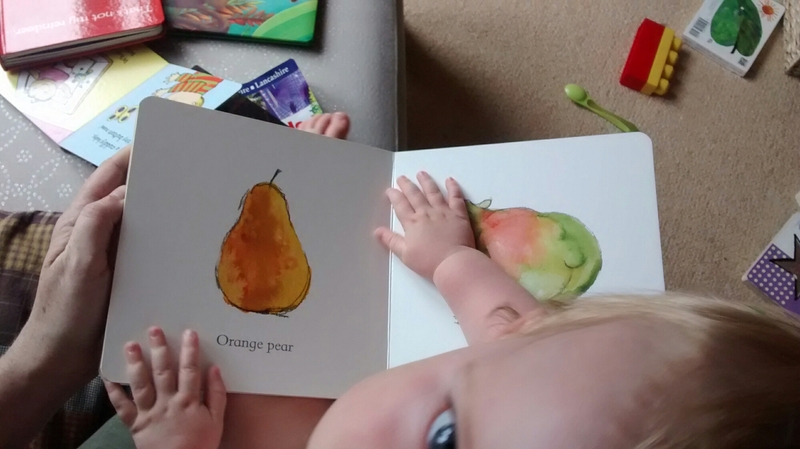 This is showing children that the word orange has more than one meaning so the pictures show different ways a This book uses only 4 words: 'orange pear apple bear' throughout the whole book apart from the last page which just says 'there'. The perfect book to read aloud to babies. 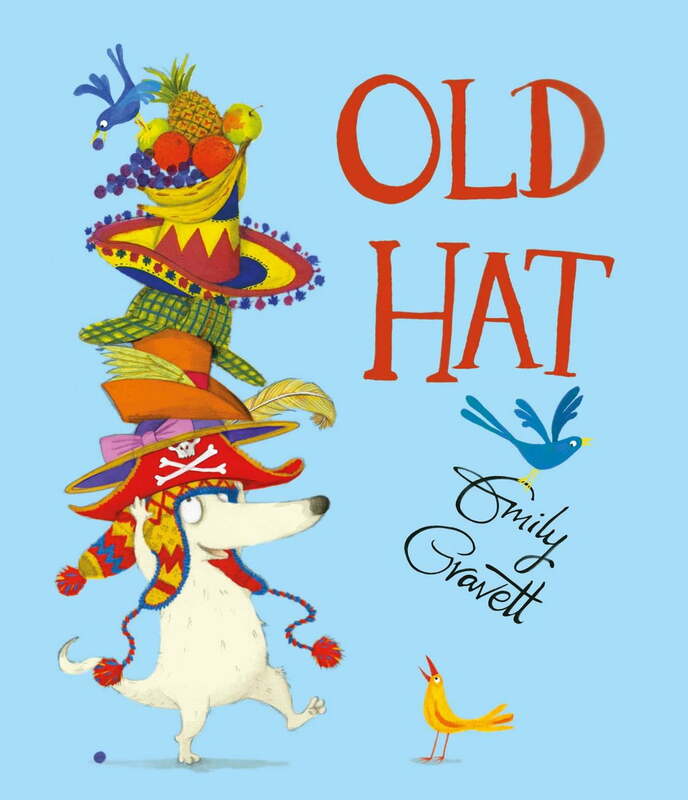 Gravett only uses 5 words throughout the book, and uses the illustrations to convey the meaning. Destined to become a contemporary classic, this book has spare text and sweet illustrations but contains only five words: apple, pear, orange, bear--and there. But what amazing things can be done with just those 5 little words, arranged in different combinations! I imagine children will enjoy seeing the silly way the meanings change, and it's a good way to introduce them to words and word order. Perfect for reading out loud to very young children. This is such a fun book and my 2-year-old and I absolutely love it. A traveller in her youth, Emily has now settled in Brighton with her partner and their young daughter. This book has given my little family lots of special moments together that I'm sure I'll cherish as memories when my girls are older. A breathtaking book marked out by its utter simplicity. This goes on throughout the whole book and it's absolutely wonderful. The loose energy of the pencil and watercolour pictures will be irresistible to adults and children alike. Watercolor artwork showcases the playful combinations of words. I have read this book aloud to children at my daycare, and they loved it. Thus, the different arrangements of the words and the use of commas dictate each illustration. She lives in Brighton, England, with her family. The text employs only the four words of the title with one notable, concluding exception , rearranging themselves to produce the felicitously surprising pictorial combinations. This one is so cute! Five other words in the book and inventive and intriguing pictures. I am so amused by this book. I would recommend this book for children ages 1 to 4. It's so clever and fun. It goes along well with an activity where you choose 4 different words and have the children mix them up to create different ideas. The text only contains 5 words total, but the genius part about this book is how they are arranged in linguistically satisfying ways to round out the book. The loose energy of the pencil and watercolour pictures will be irresistible to adults and children alike. It's simplicity is what makes it so compelling and we are going to buy our own copy we had borrowed this one from the library. She burst onto the scene with the startlingly original Wolves, with which she won her first Kate Greenaway Award. Emily Gravett creates clever variations on this theme by rearranging the words--on one spread, a brown bear juggles an orange, apple, and pear; on another spread, there is an orange-colored apple and a pear-shaped bear. By rearranging just four words, Emily Gravett creates a series of playful images which are a sheer joy - and intensely satisfying. This book is very silly because it uses the four words listed before in fun and playful ways throughout this book. It plays around with the four key words of the title with fun illustrations. This is one of my favorite picture books of all time and I use it often. As my all-knowing : assistant points out, there are more words in the jacket flap description than there are in the text! But what amazing things can be done with just those 5 little words, arranged in different combinations! The loose energy of the pencil and watercolour pictures will be irresistible to adults and children alike. Emily now lives in Brighton with her family. This is a deceptively simple book. The pictures used are different combinations with the words that are sued. 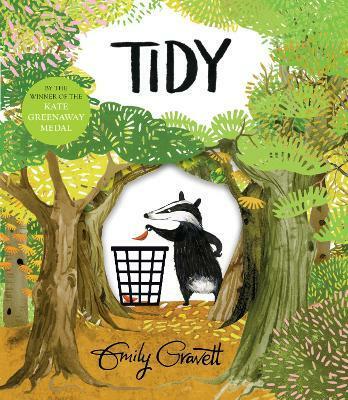 Finally an Emily Gravett book that I really like. Wolves was followed by such brilliant modern classics as Orange Pear Apple Bear, Little Mouse's Big Book of Fears, Again! The utter simplicity of this beautiful picture book is breathtaking. I would recommend this book kindergarten-2nd grade. She is also the author and illustrator of andlt;iandgt;Again! Perfect for reading out loud to very young children. Though the book's design appears artless, it is quite the opposite, skillfully juxtaposing page layouts to maximize the humor of the wordplay. This book demonstrated the power of a few simple words, and how simply, by mixing them up, you can create a number of different ideas. It could also be nice to make some performance of the book as it would be very simple but it could still provide a challenge for the children. It was amazing how Gravett took 4 simple words and developed them into a number of different concepts. The premise of the book is that the words orange; pear; apple and bear are continuously rearranged and paired with fantastic and beautiful pictures inspired by those combinations. She lives in Brighton, England, with her family. It's so clever and fun. This book is very good for young readers to be able to hear these words and to begin associating them with the pictures on the pages. 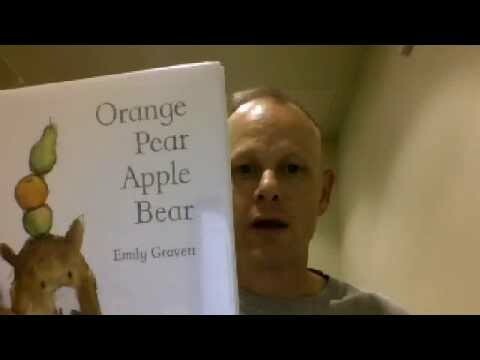 It is a great book to use in the Foundation Stage or possibly in Key Stage one for those j Orange Pear Apple Bear by Emily Gravett This is such a beautiful book about a bear and fruit! My favorite thing about this book, though, is how useful it has been for my pre-schooler who is learning to read! This book would, I think, encourage children's minds to think outside the box. This first story is a humorous and quirky delight from an author-illustrator who has twice won the coveted Kate Greenaway Medal. This book is very silly because it uses the four words listed before in fun and playful ways throughout this book. Some of her other titles include Little Mouse's Big Book of Beasts, Dogs, Monkey and Me, Cave Baby with Julia Donaldson and Tidy. The results are usually quite amusing, whether someone likes cooking their family and their cat rather then cooking, their family and their cat or whether a driver is being made aware of slow children crossing, rather then being told to drive slow because children are crossing. I can't recommend this book highly enough. Together, they create a fun and charming story that will especially appeal to those of us who enjoy the complexities of sentence structure and language and how punctuation and sequence mold meaning. I think maybe 4-6 year olds would understand this concept more thoroughly than 1-4 year olds. Emily Gravett creates clever variations on this theme by rearranging the words--on one spread, a brown bear juggles an orange, apple, and pear; on another spread, there is an orange-colored apple and a pear-shaped bear.